ALL AGES SHOW MELBOURNE ! After receiving many requests for all ages shows we are pleased to announce that Paul Dempsey headlines the days events at next Sunday's Moomba Festival in Melbourne. This is an ALL AGES show. 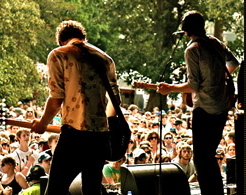 Paul and band will play the Alexandra Gardens stage next Sunday 7th March at 8.30pm. He is also joined by Bertie Blackman, See here for all details. While we are experiencing difficulty with embedded youtube videos, you can view all Paul's videos HERE. 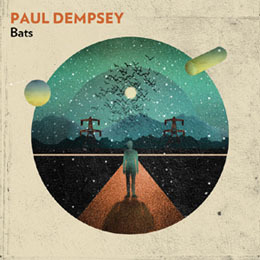 We're very excited to announce that Paul Dempsey's Bats EP is being released via iTunes this Friday, February 26. 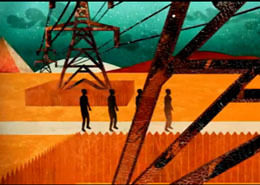 The EP will feature two fantastic covers of Paul Dempsey songs;Clare Bowditch has covered Out The Airlock and Melbourne's Oh Mercy have covered Ramona Was A Waitress. Click here to purchase on Friday 26th February. last Australian shows for a while, hope you can make it along! WIN TICKETS, FLIGHTS AND ACCOM TO PAUL DEMPSEY SHOWS! 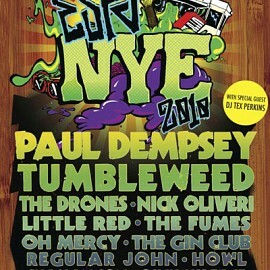 Thanks to Yen magazine & EMI Music, you and a friend could win flights, accomodation, spending money & tickets to 2 Paul Dempsey shows on December 18th & 19th. Be The Photographer & Blogger for these 2 Paul Dempsey shows & have your shots and blog published in Yen magazine. Just click HERE for all the details. This competition is now closed. Check back for the announcement of the winner! PAUL ADDS CANBERRA TO SHOTGUN KARAOKE TOUR! Due to popular demand Paul is pleased to announce a 2nd Melbourne 'Shotgun Karaoke' show at The Hi-Fi on Thursday 24th October and a 2nd show at Lizotte's Newcastle, on Tuesday 8th October! Tickets for both shows are on sale now. PAUL DEMPSEY - SHOTGUN KARAOKE TOUR **2ND SHOWS ADDED! Shotgun Karaoke Tickets on sale now! Tickets to Paul Dempsey's Shotgun Karaoke Solo Tour are on sale now & selling fast! Wed Oct 9th - Lizotte's Dee Why, Sydney NSW - Under 18 can be accompanied by a guardian to this show. Thurs Oct 10th - Lizotte's, Kincumber, NSW - Under 18 can be accompanied by a guardian to this show. The EP will be available on iTunes and on CD from record stores on October 4th. We are very excited to announce the Paul Dempsey Shotgun Karaoke Solo Tour & EP for October 2013. As you may know, on the recent Something for Kate tour, frontman Paul Dempsey began filming a different cover version backstage every night at each venue, posting them online after each show. Paul recently spent some time in the studio recording a selection of these covers for release as the Shotgun Karaoke EP and has great pleasure in announcing the accompanying national solo tour of the same name kicking off on Saturday October 5th. Performing a selection of these covers, songs from his solo album, Everything is True, as well as delving into the extensive Something for Kate catalogue, this will be an event not to be missed. Tickets go on sale 9am (AEST) Thursday August 15th from the venues and various outlets all outlined below. The EP will be available on iTunes & on CD from record stores on October 4th. Supporting Paul on the tour will be one of Melbourne's most exciting emerging singer/songwriters, Olympia. Wed Oct 9th - Lizotte's Dee Why, Sydney NSW - Tix from HERE or call 02 9984 9933. Ten years ago this month Something For Kate's Deja vu single was released from 2003′s The Official Fiction album. To celebrate, we're giving away VERY limited edition packs of SFK & Paul Dempsey guitar picks every day for 10 days - To win, just 'like' Paul Dempsey's facebook page, & comment on the competition post! We'll pick a winner every day! These fabulous custom picks have been personally made for the band over the last decade by Grover Allman Guitar Picks. You cannot buy these picks.